The Manorville Fire Department is aware of a Fund Drive Notice from an organization named the Volunteer Firefighter Alliance. The Manorville Fire Department is not part of this Organization and does not benefit from this Fund Drive Solicitation whatsoever. 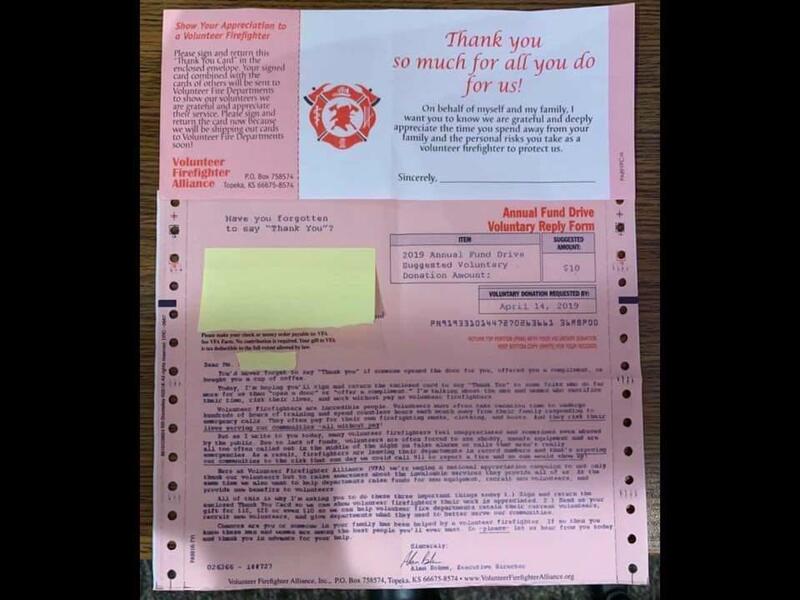 The Manorville Fire Department is not stating that this organization is trying to solicit any donations from anyone in the Manorville Fire District, but we are currently sending out our yearly Fund Drive letters to just Residents and Business located in the Manorville Fire District. This is just a public awareness notice.